For the last few years, I’ve posted announcements about new or updated FamilySearch databases on this site. 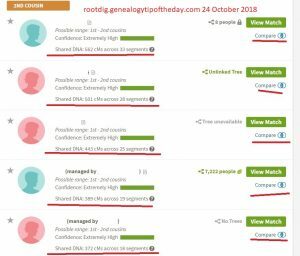 After today, those announcements will be made on my “Search Tip of the Day” blog at http://searchtip.genealogytipoftheday.com. Readers who would like to continue getting those updates can subscribe to that blog for free on the site. The FamilySearch updates are really more appropriate for that site and will help us keep our focus here.